Driverless cars may save lives, but will they kill driving? Autonomy is the next wave in the automotive industry. But with the evolution of that technology, auto manufacturers at the Detroit auto show are confronting a bleak possibility for car lovers — the end of driving as we know it. Cruising down a two-lane highway, Arshad Khalakdina suddenly goes woozy at the wheel. His head slumps to the side. His hands leave the steering column. It's a clear day, but the driver's field of vision blurs over. In this virtual scenario, unfolding at the North American International Automotive Show in Detroit, Khalakdina has suffered a stroke. This is when a female robo-voice, soothing even in this motor-vehicle crisis, assumes control: "Emergency stopping mode has been activated. The vehicle is changing lanes." The car comes to a rest at a lay-by, out of traffic. 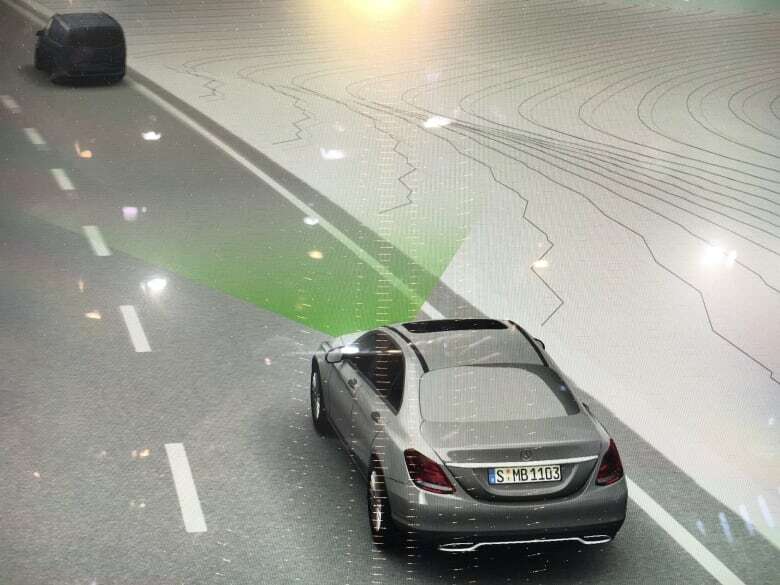 In the real world, this autonomous driving system by Denso Auto Parts might have saved a life. But could it kill a recreational pursuit? "The driver experience. You lose that, and a car is just going to be a box that you get into to take you to another place," laments Khalakdina, after trying the simulator. Autonomy is the next wave in the automotive industry. And with the evolution of that technology, auto manufacturers are confronting a bleak possibility for car lovers — the end of driving as we know it. "Eventually, we might have a generation that never learns how to drive at all," says Richard Wallace, director of transportation systems analysis with the Centre for Automotive Research (CAR) in Ann Arbor, Mich.
Tesla CEO Elon Musk, a proponent of self-driving tech, made a bold declaration in November forecasting the demise of human-driven cars in the next 20 years. 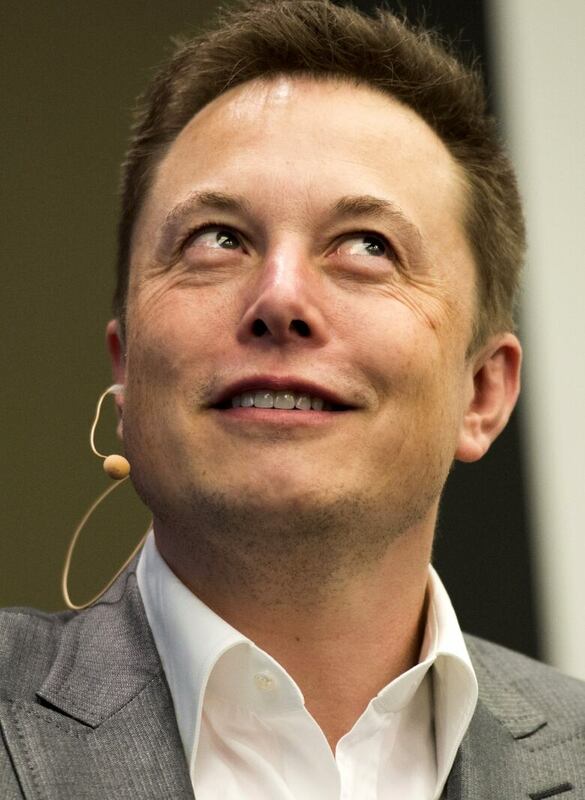 "Any cars that are being made that don't have full autonomy will have negative value," Musk predicted. "It will be like owning a horse. You will only be owning it for sentimental reasons." Musk's horse analogy makes sense to Wallace, who imagines that "those who love driving as an activity" will one day be only able to do so legally "in dedicated locations for recreational purposes." 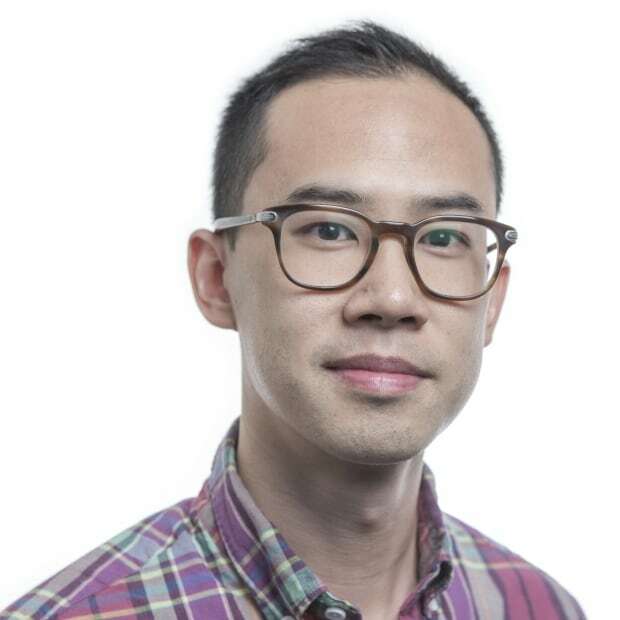 Wallace's lab is already studying a degradation of skills as a result of what he calls "the awkward transition" from partial to fully autonomous driving. "Some new drivers, in fact, might never learn basic skills such as parallel parking because they never use them," he says. "Parking assist does it every time." Researchers have observed declines in driving skills when people in simulators testing adaptive cruise control and lane-keeping assist are asked to transition back to manual driving, says Adela Spulber, an analyst with CAR. Soon, she believes, it will be more natural to refer to people occupying driver seats as "human operators" or "co-pilots." This dim vision for the future of human driving was not lost on parents bringing their young children to the the Detroit auto show to marvel at the latest chrome. 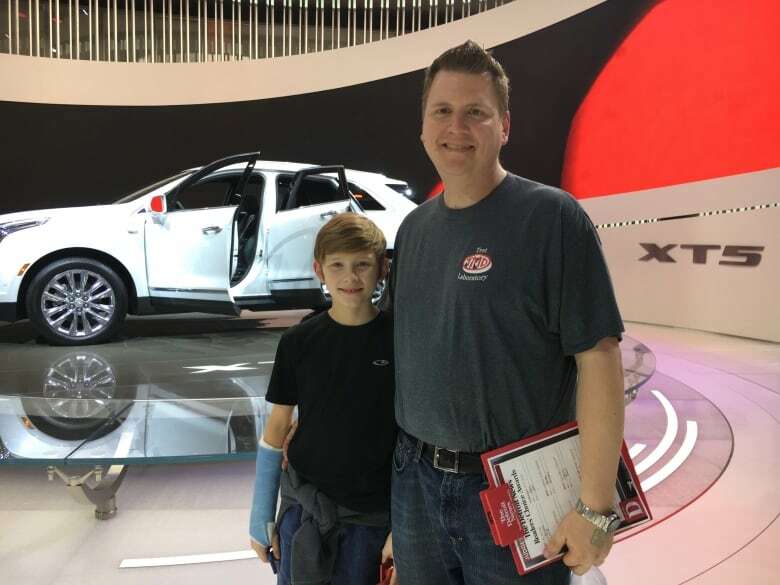 Wandering the Cadillac display with his 12-year-old son Isaac, Chris Dobis said the two have talked about the promise of Google's self-driving project. "He's even said, 'You know what, dad? It would be kinda cool to drive. But on the other hand, it would be pretty cool to just get in a car and let it go somewhere and I can play on my tablet or whatever else,'" Dobis said. For his part, Isaac played down his excitement about self-driving vehicles. "It's gonna be pretty cool … but I still kinda want to drive, see how it feels," he said. Automation is clearly of interest at the show, where Audi's semi-autonomous h-tron quattro concept is a big attraction. Over at the Mercedes-Benz booth, the forthcoming E Class is flanked by displays trumpeting the carmaker's "Intelligent Drive" capabilities, which use radar sensors to keep a safe distance from traffic up front. Volvo is also exhibiting the interior of its fully autonomous C26 concept car at the auto show. The manufacturer's Drive Me project aims to roll out 100 self-driving cars to ordinary customers in the Swedish city of Gothenburg starting in 2017, said the company's technical specialist for autonomous driving, Erik Coelingh. The new driver experience, Coelingh says, is simply "sit back and relax." A week before the auto show opened to the public, Ford tested its driverless project using a Fusion Hybrid in a closed track in the Michigan snow. 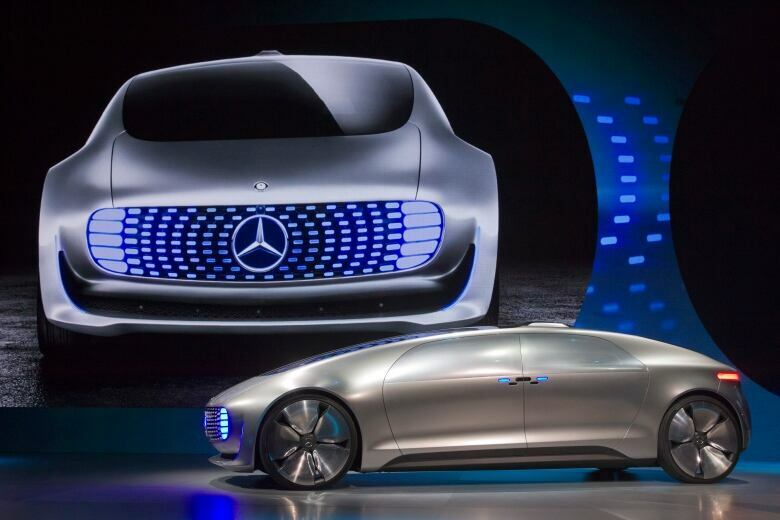 Companies including Ford, Google, Tesla, Nissan and Toyota promise to put fully autonomous cars on the road by 2020. Analysts forecast there could be 10 million self-driving autos zipping around on public streets. By that time, car-show attendee Rodrigo Rodrigues's children — a two-year-old boy and a daughter due in June — may never know the feeling of operating a stick shift or easing off a clutch. They may never even have to drive an automatic. "I prefer to drive. I like it. Let's step just a little bit more, and 'Rmmmm!' that sensation is good," Rodrigues says. But a leisurely Sunday afternoon trip down a country road might be the only occasion to take his traditional car for a spin. "Maybe in the future, we will only drive for fun," he says. "I'll teach them anyway, of course!" he vows. "Like swimming, you must teach them, in case. Some day, who knows? You must drive! They will be prepared." In the meantime, fewer U.S. teens are expressing an interest in getting their driver's licences, with only 73 per cent of high-school seniors obtaining a driver's license in 2010, compared to 85 per cent 14 years earlier, according to a 2014 Centers for Disease Control and Prevention study. In a more connected world, young people have greater independence and freedom, and perhaps less reason to explore the open road. 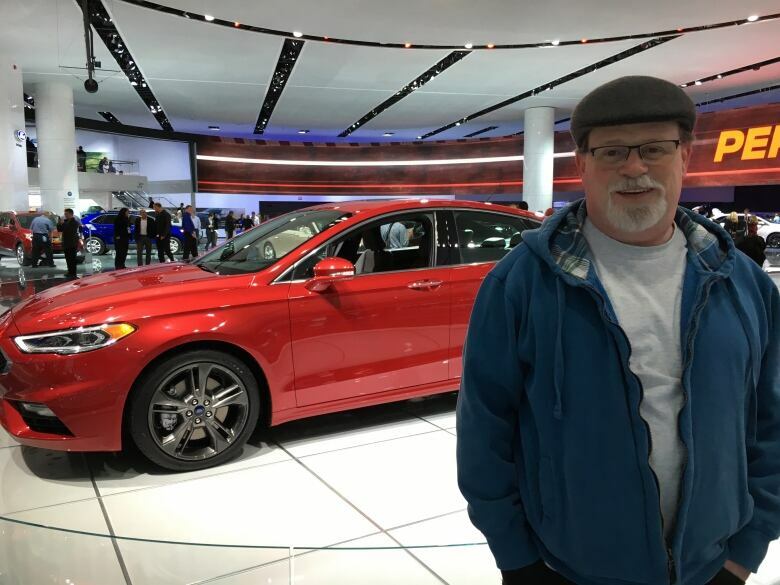 Jay Vee, attending the Detroit car show with his family, sees priorities shifting with young people. "They don't learn a lot of things we knew in past generations. Everything's on screen. See?" Vee said, gesturing at his teenage son, who was browsing through a smartphone, head down, at the Ford exhibit. Driverless cars are a development Vee thought he might see someday. He figures waning interest in obtaining licences is just a sign of the times. "Driving was a rite of passage," he says. "It was just part of the American way. It was part of modern life."